Warrior had wounds covering most of his body. 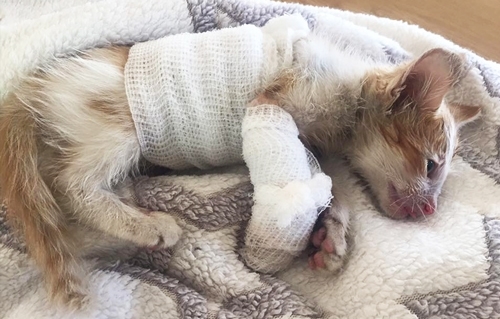 Rushed to the hospital he was not given good prognosis for recovery, but the tiny kitten was ready to fight. This sweet baby is Warrior. 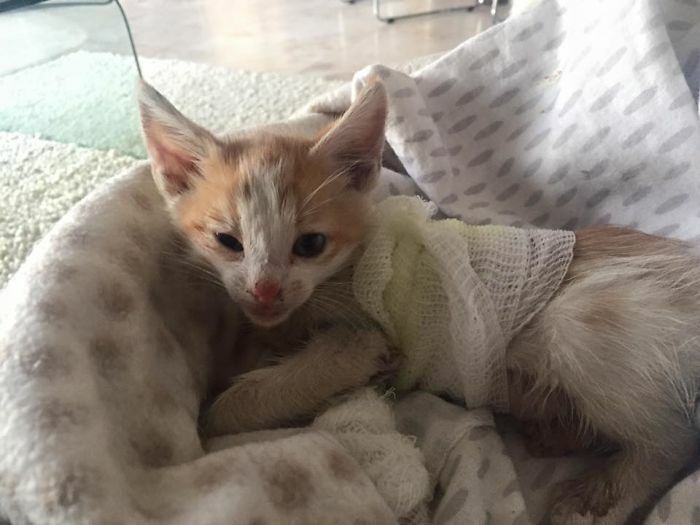 Rescued from a factory after being caught in a forklift truck, badly injured with wounds covering most of his tiny body, he was immediately rushed to the veterinarian hospital where he was bandaged, placed on heavy antibiotics, and not given a good prognosis. The kitten, however, had other ideas. 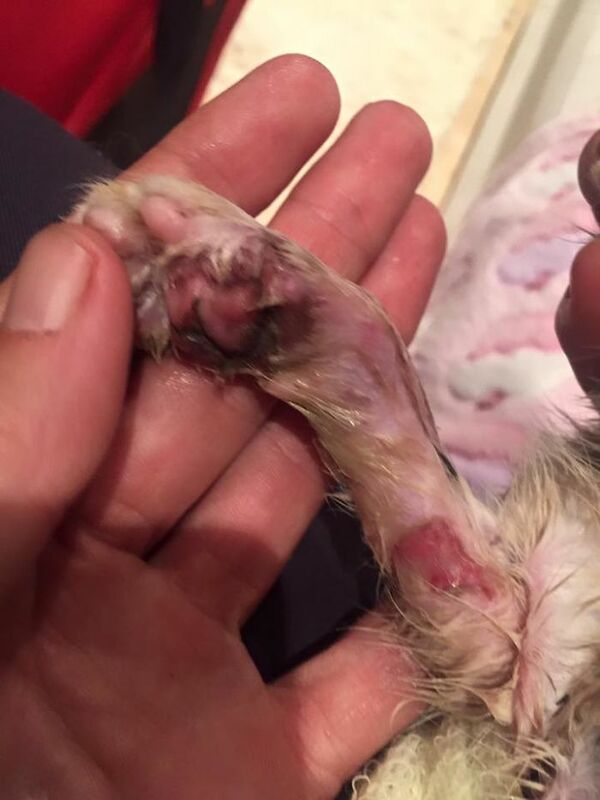 While twice a day his bandages were changed, he was hand-fed, and medicated. For three weeks he continued to fight. When introduced to another kitten, Butterfly, they quickly became best friends. As they played, he grew healthier and stronger and in just four months Warrior was completely recovered. He received his name, Warrior, during his recovery, due to his indomitable spirit. 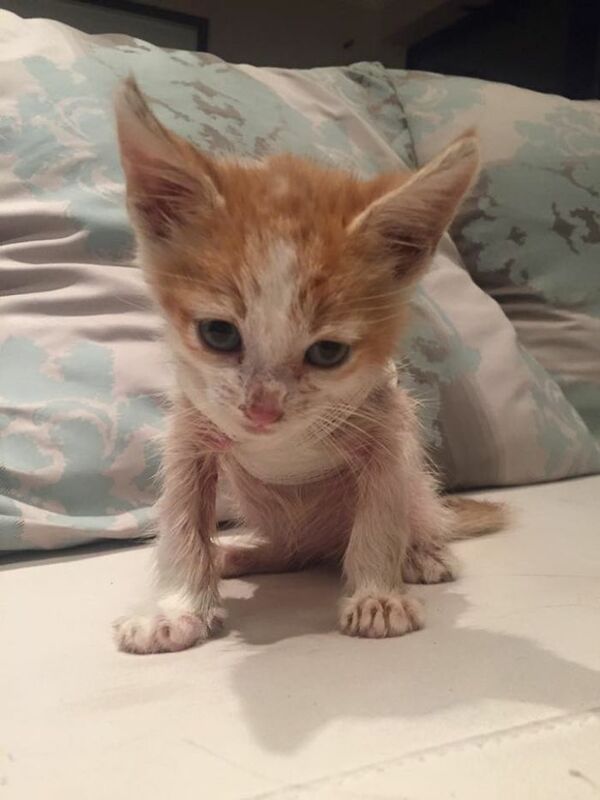 The folks who watched him battle day in and day out at The Kitten Cottage Rescue Centre were captivated by the little guy and joyful when he found a forever home with a lovely couple. Thank you to everyone who helped Warrior fight to become the little winner he is. 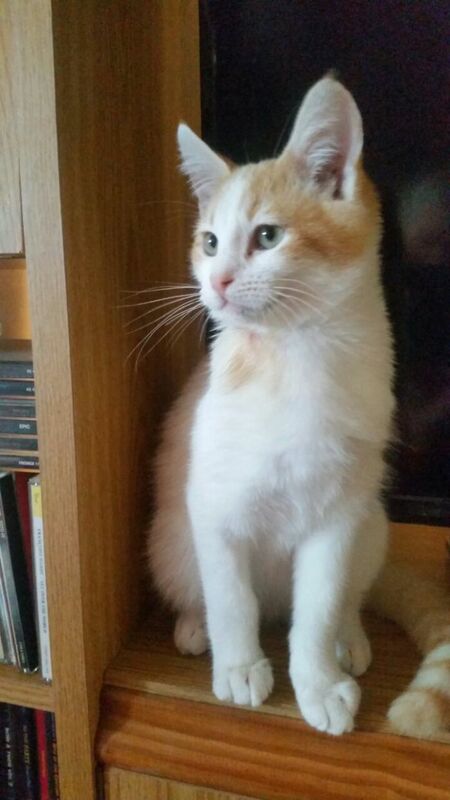 Warrior turned out to be a very beautiful cat too! Thankfully he has also found a loving family.